DETAILS: Official announcement, online registration, maps and hotels. Yawkey Center and Corcoran Commons are on the Chestnut Hill Campus. See the "approach" map and "Chestnut Hill Campus" map. A detail map of the walking path from yawkey to corcoran is here. iED 2011 features a number of special sessions dedicated to full immersion, mixed reality (MXR), and augmented reality (AR). The following iED 2011 installations provide attendees with unique "hands-on" and "full body" immersive education experiences in domes, caves and using mixed/augmented reality technology. These special sessions are installed in a special collection of dedicated immersive conference rooms, and are provided in addition to the numerous other presentations, panels, workshops and demonstrations detailed on the iED 2011 program of speakers and sessions. iED 2011 "lunch theater" session on Day 1 (Friday May 13): During lunch on the first day of iED 2011 PublicVR will recreate an important religious event from the Ptolemaic Period, the Egyptian Oracle. 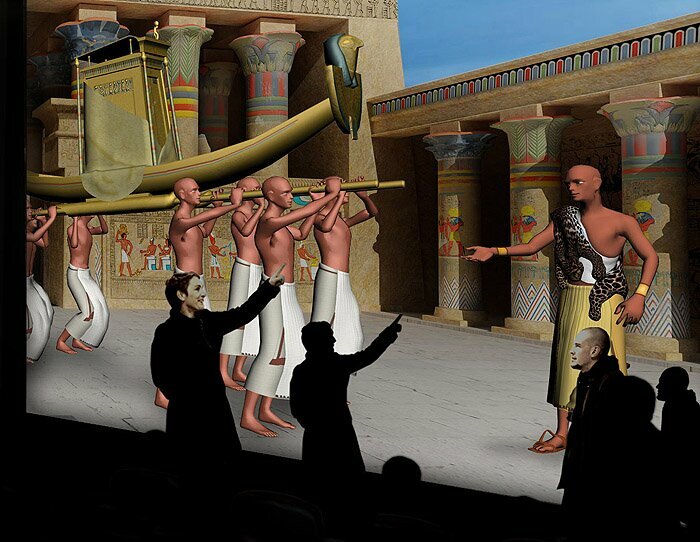 Projecting our Virtual Egyptian Temple onto a wall opens the real space into the virtual, creating a shared continuum for audience and actors. 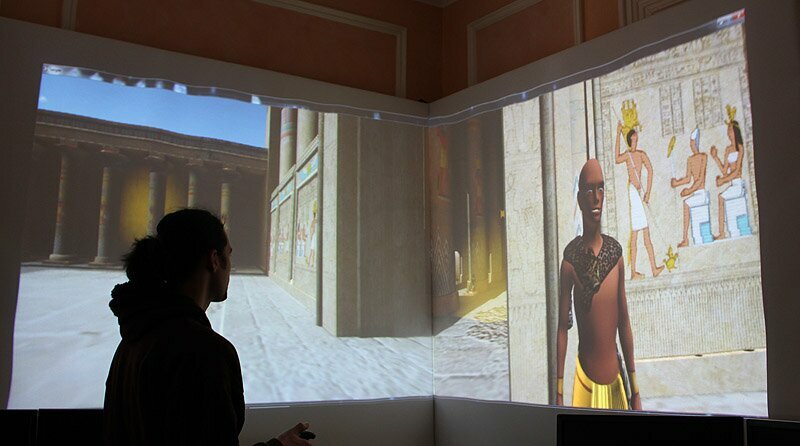 The star is a virtual High Priest, controlled by a human puppeteer interacting with a live actor and the audience, who role-plays the Egyptian populace. The high priest queries the spirit of the temple god which is embodied in a ceremonial boat carried by eight assistants. Fortunes will be told, judgments made, and blessings given. We will film the event, ask audience members what they learned, and have a general discussion afterward during this special iED 2011 "lunch theater" session. This experimental work was made possible by the National Endowment for the Humanities. The MiRTLE project is a "MIxed Reality Teaching and Learning Environment” that enables teachers and students participating in real-time mixed and online classes to interact with avatar representations of each other. MiRTLE is designed to provide a mixed reality environment for a combination of local and remote students in a traditional instructive higher education setting. The solution augments existing teaching practice with the ability to foster a sense of community amongst remote students, and between remote and co-located locations. 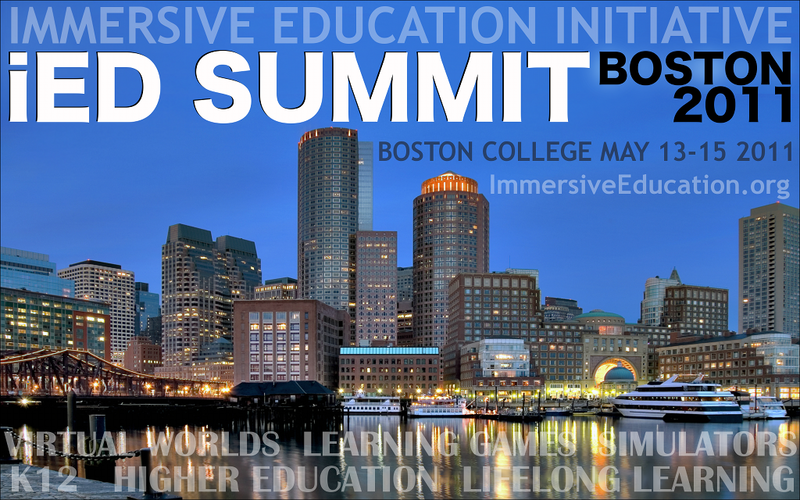 Virtual Learning Labs (VLL) will be making the first public demonstration of their MiRTLE mixed-reality teaching environment at the iED 2011 in Boston. Attendees will be able to see how VLL can use the latest virtual worlds technology to support distance learning and remote teaching. MiRTLE provides an interactive live wall-board in the class which allows the local teacher and students to see and interact with the remote virtual students. 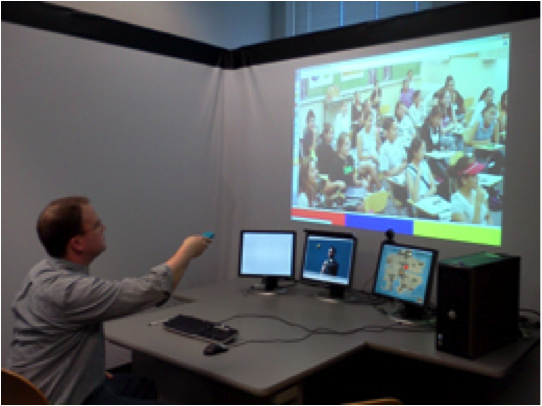 Remote students can use their avatars a spatialized audio interface to raise their hands and ask questions in the normal way. The interface also allows users to show each other compute graphic objects using handheld printed symbols (a form of Augmented Realty). Freeman places imaginary objects “in” the real world, which are visible only by looking "through" a smartphone, such as the iPhone. The camera translates the view on the other side of the phone to the front screen, so that it looks like a pane of glass. 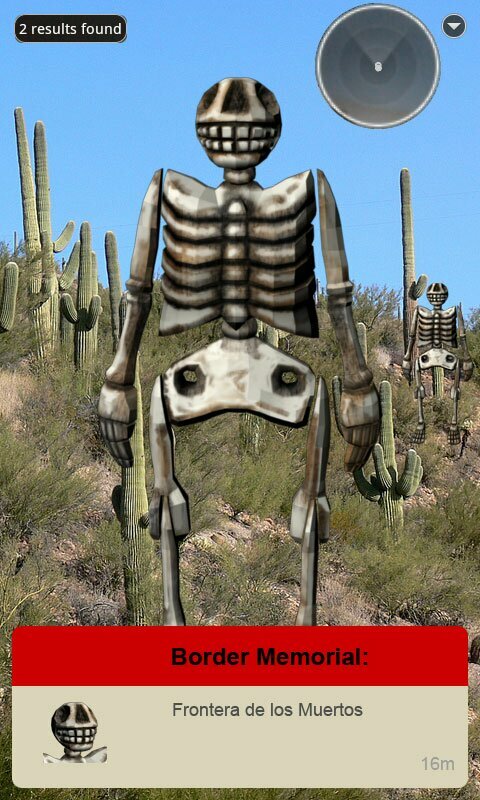 The software draws the objects onto the screen. 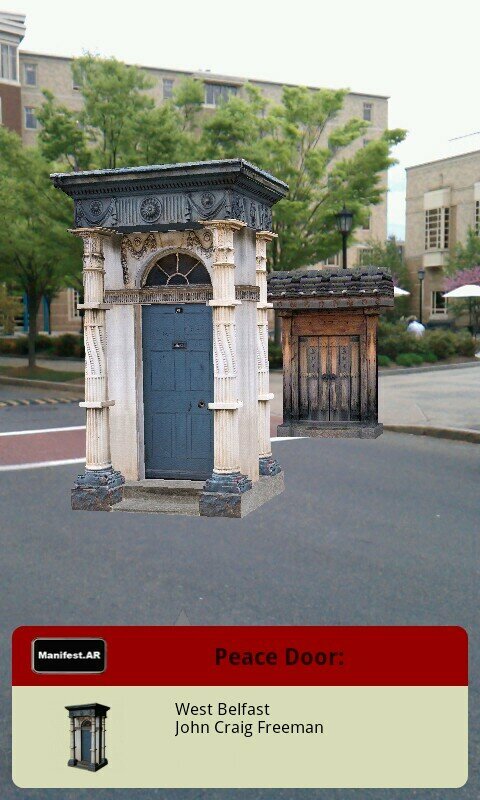 The software (Layar) is free to the public and has many educational uses. Freeman sees this medium as a way of transforming public space and institutions by installing virtual objects which respond to and overlay the configuration of located physical meaning. 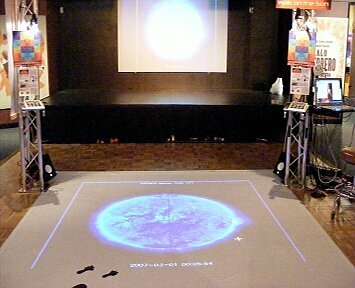 This installation demonstrates a simple low-cost technique to create a panoramic display in the corner of a room with a standard PC and two ordinary projectors. 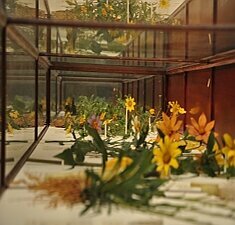 The result gives the viewer 180 degrees of horizontal view into a virtual world. The star attraction is an interactive learning game, Gates of Horus. The game is featured in our recently published learning experiments on the benefits (for certain topics) of visually immersive displays. Gates of Horus is based on the Virtual Egyptian Temple, and both will soon be released to the public as open source. 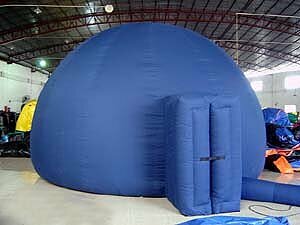 The Discovery Dome is a portable, all-digital dome theater perfect for enhancing K-12 curricula and staging informal educational events. The low-cost design and rental options make it affordable to most school districts and museums. Programming for our portable domes combines riveting visuals and engaging storylines with diverse content tied to national standards. Some of the programs are linear movies and others are interactive, enabling the teacher or the students to interact with a virtual world. A growing trend to transform STEM (Science, Technology, Engineering and Math) education involves motivating and educating students using learning environments based on immersive and interactive STEM simulations. 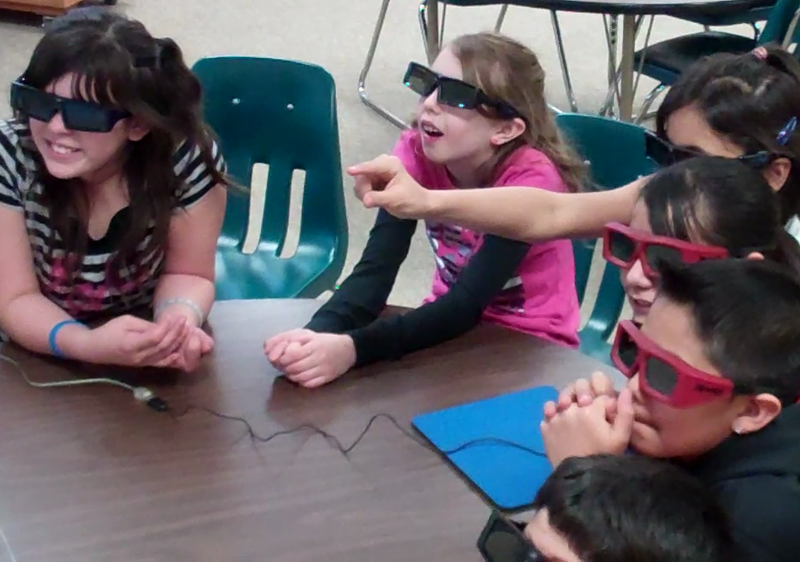 By providing hands-on experiences in both 2D and stereographic 3D modes in conjunction with unique Active Shutter DLP Link 3D glasses, participants may explore how to evaluate and effectively integrate these advanced virtual reality technologies effectively in all subject areas. 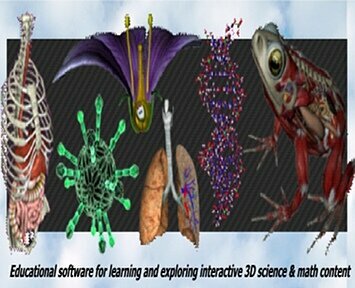 These simulations include geometry/algebra, frog and human anatomy dissection, zoology, botany, microbiology, and earth science modules. 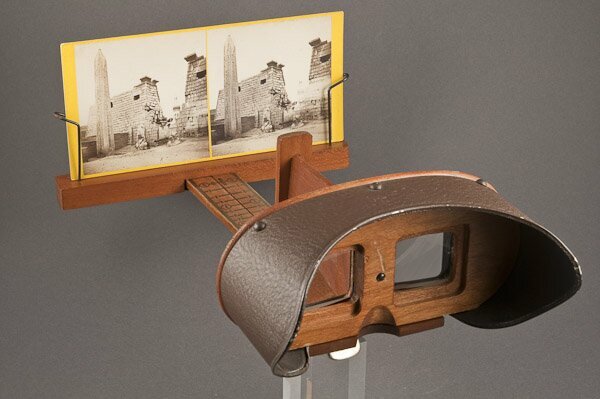 See a virtual lost world through vintage photographic documentary stereo images, created by the millions in the 19th century for popular and classroom education. 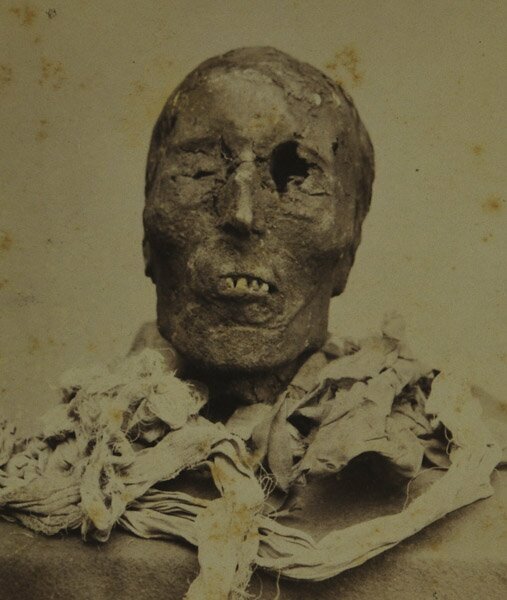 Today we use digital 3D projection on a broad range of rediscovered material, including a Victorian tour down the Nile and lost photographs from the Royal Cache of Egyptian pharaohs found in 1881, to take you back in time while creating new possibilities for the future. One hour demonstration. Check the iED 2011 conference schedule for time. 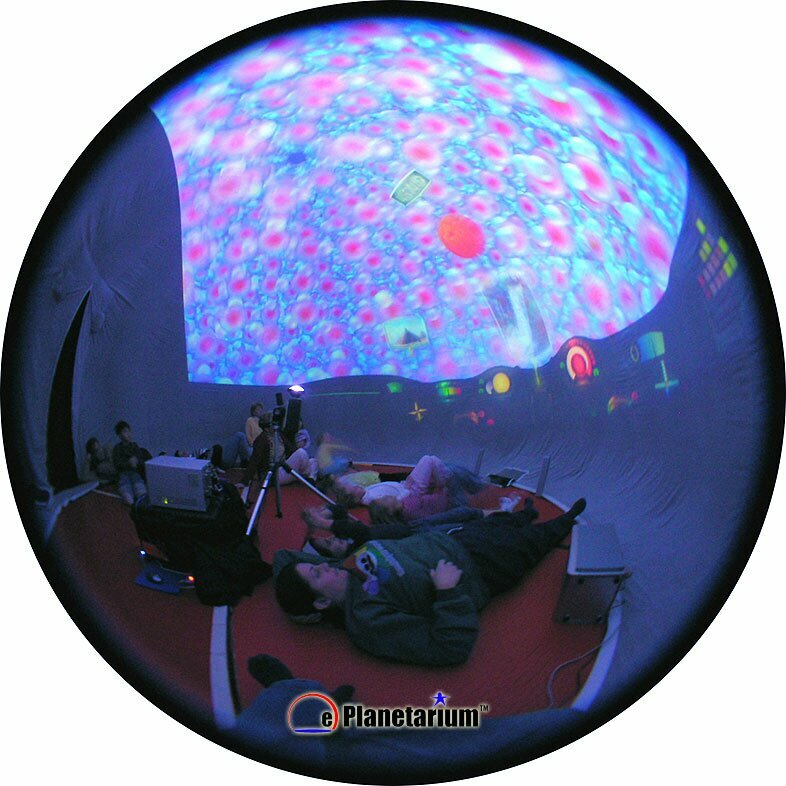 By projecting a virtual environment onto one wall of a room, the instructor can open the classroom to worlds and phenomena inaccessible in the real world. But rather than being on the outside, pointing in, the instructor can be “in” the environment by means of a virtual puppet or avatar who addresses the audience. This creates many opportunities for lecture and interactive theater, but it raises many issues for the puppeteer. 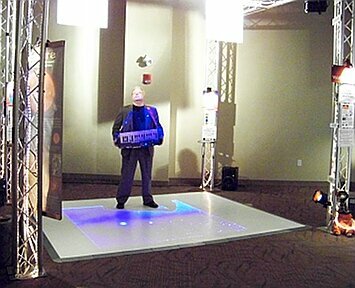 We will demonstrate an innovative set of displays needed to give the avatar/puppet operator the information they need. 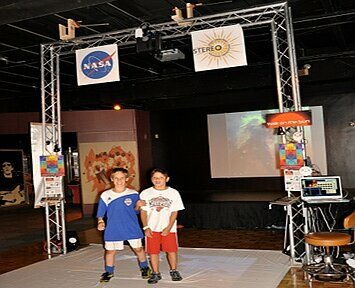 Walk on the Sun is an interactive full-body exploration and perception exhibit created with NASA funding which allows people to move over imagery and hear the pixels as music. One can also perceive movies through chords of music generated from each image of a series of images. The exhibit was specifically designed to allow the blind to perceive image characteristics through full-body motion/dance exploration and is based on over 20 years of sonification research. No technology is required to be held by the explorer as the system uses visual motion tracking. The sonification is generated live in realtime and produces beautiful melodic multitimbral and polyphonic music derived from pixel values and optionally can utilize up to massive 1000 note/pixel chords (for instance to listen to the solar winds or the rotating Sun). The underlying MoveMusic technology is targeted to communicate movement of athletes at the 2016 Olympics. Leading immersive projection design firm The Elumenati present Worldviewer, a new geospatial gaming platform that enables interactive viewing of images, videos, and content developed for NOAA's Science on a Sphere. The project will be showcased inside the GeoDome Portal immersive environment, a portable, inflatable truncated open dome with an OmniFocus projection system. 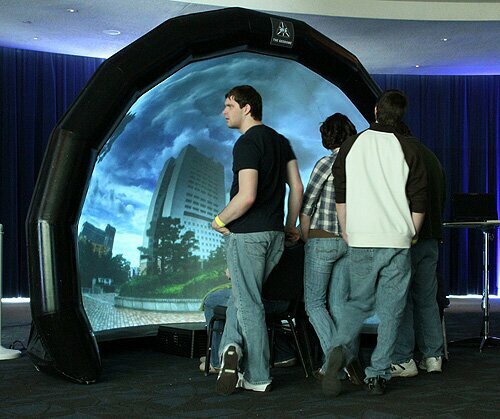 High quality all-digital portable domes are are available through Elumenati, as well as Omnimap, a powerful authoring platform for interactive content. Harvard University is hosting special iED 2011 events on Sunday May 15th from 2pm to 5pm. On Sunday afternoon, after iED 2011 general sessions have concluded, attendees will shuttle from Boston College to Harvard University for private small group tours (approximately 10-15 at a time) of Harvard's Viz Center. 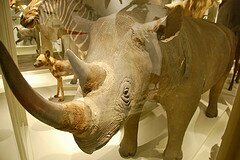 Before and after these private tours of the Viz Center attendees will enjoy complimentary access to Harvard's world-renown Museum of Natural History. Attendees are also encouraged to enjoy lunch and dinner in Harvard Square, and to tour the Harvard University campus on their own or in groups. The Harvard special events are available to registered iED 2011 attendees at no extra cost (iED 2011 badge required), and also to members of the public who purchase a regular pass to the Museum for the day. Day passes to the museum may be purchased on-site at the museum. 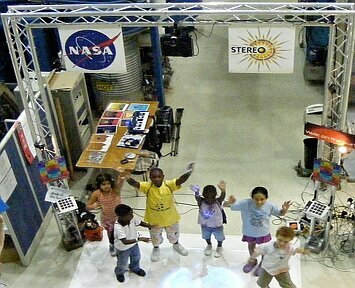 Private group tours of the Viz Center, A High-Resolution Stereo Visualization Facility. 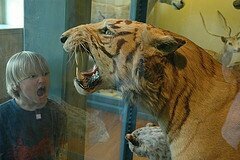 Before and after these private tours attendees enjoy complimentary access to Harvard's world-renown Museum of Natural History (see below). Earth Science research and education increasingly demand the integration of geospatial datasets to observe and model natural phenomena. To meet this challenge, Harvard University and the Structural Geology & Earth Resources Group have developed a state-of-the-art immersive 3D stereo Visualization Facility ("Viz Center"). 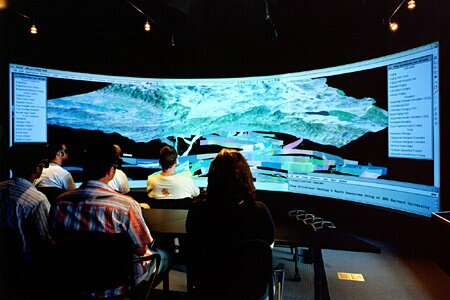 The facility uses three digital projectors in active stereo mode displaying on a 23 foot wide cylindrical screen. iED 2011 Sunday Afternoon Event: Group tours of the Viz Center at Harvard University, A High-Resolution, Stereo Visualization Facility, and the Harvard Museum of Natural History. 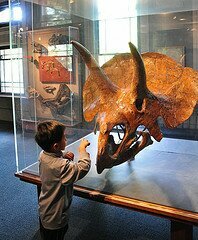 Explore 12,000 specimens drawn from Harvard’s vast research collections at the University's most visited museum -- dinosaurs, meteorites, rare minerals, and hundreds of prehistoric and current-day animals from around the globe. Get close to the world’s only mounted Kronosaurus, a 42 ft-long marine reptile; one of the first Triceratops ever discovered; a 1,642 lb. amethyst geode; 3 whale skeletons. 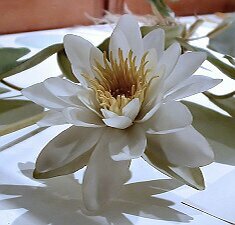 Don’t miss the world famous exhibit of 3,000 ‘Glass Flowers’, amazingly realistic models of plants, fruits and flowers created by father-son glass artists Leopold and Rudolph Blaschka from 1886-1936. You won’t believe they’re not real. 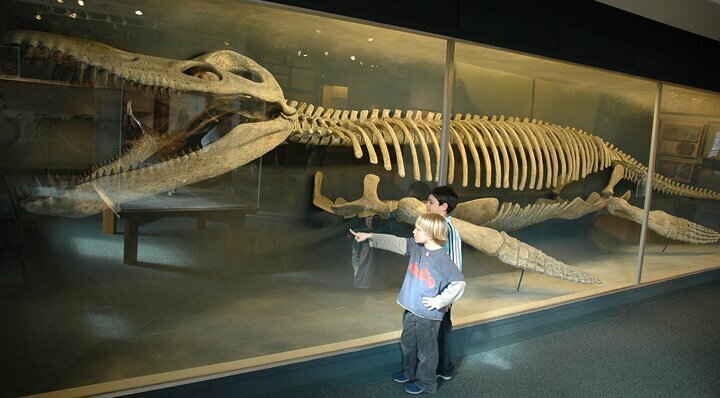 With a mission to enhance public understanding and appreciation of the natural world the museum offers a wide array of lectures, classes, and programs for learners of all ages from school children to adults. 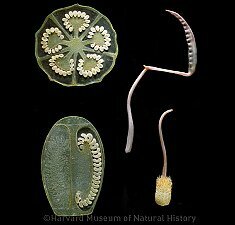 180,000 annual visitors make the Harvard Museum of Natural History the University's most visited museum.